This book has been in the making for a very long time. 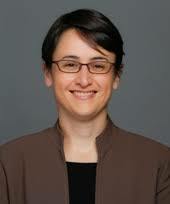 In 2011, a paper conceptualizing institutional bypasses was posted on SSRN and the first case study, on a bureaucratic reform in São Paulo (Poupatempo) was published in the Brazilian Political Science Review. In 2018, seven years later, the book came out. Why did it take so long and – perhaps most importantly – what happened in between? The answer is: the concept of institutional bypass needed time to be fully formed. The seeds were there in 2011, but the full-blown version is the one articulated in the book. Part of this conceptual process happened inductively, through a series of case studies as the analysis of a police reform in Rio de Janeiro (UPPs) published in 2014 in World Development. The conceptual challenge raised by this case study was the question of legality: if UPPs are a bypass of the police force, could illegal drug gangs who occupied Rio de Janeiro’s slums before the UPPs (and often offered protection and services to residents) be also considered an institutional bypass? The legality question was not discussed in the 2014 article, but is addressed in the book. Another important part of this process were the probing questions raised by my co-author and long-time collaborator, Michael Trebilcock. He had already argued in 2011 that, as the concept was formulated, any private sector operating in parallel to a public sector could be conceived as a bypass. Intuitively, we knew that this is not what the concept was trying to capture but the challenge was how to provide a definition that captured it. 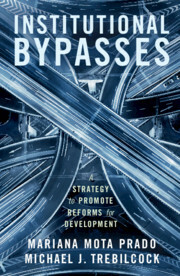 As a solution, the concept of institutional bypasses presented in the book has one important new dimension that was not articulated in 2011: a bypass offers an alternative to the dominant institution. This means that public and private institutions can be operating side by side without one being a bypass of the other (for instance, a mixed educational system). Then, Michael Trebilcock and I started working on a book-length manuscript structured around the idea of public and private bypasses. However, the distinction fell apart at closer inspection (in the book we indicate why classifying them as public or private bypasses does not make much sense). We are very grateful to a series of colleagues who took the time to read that initial manuscript and provide us with valuable feedback in this regard. Instead of public and private, Michael Trebilcock and I decided to divide them into intentional and spontaneous bypasses. These became the organizing concepts around which the case studies are divided. As a result of all these processes, the concept we present in the book is very different (and hopefully much improved) from the on articulated in 2011. Are you curious about it? Check the book out – kindle version is already available on amazon!